The Proctor Foundation was established in 1997 by Phimister Proctor “Sandy” Church, grandson of Alexander Phimister Proctor (1860 – 1950). Sandy’s passion for his grandfather lead him to establish the Proctor Foundation, and the Proctor Museum, allowing the public access to his extensive collection of Proctor artwork. The collection also includes significant archives of historical documents from Proctor’s lifetime, photos, video footage, and related objects such as Indian artifacts and clothing, tools, and other important artists’ works. The Proctor Foundation is a 501(c)3 charitable foundation. 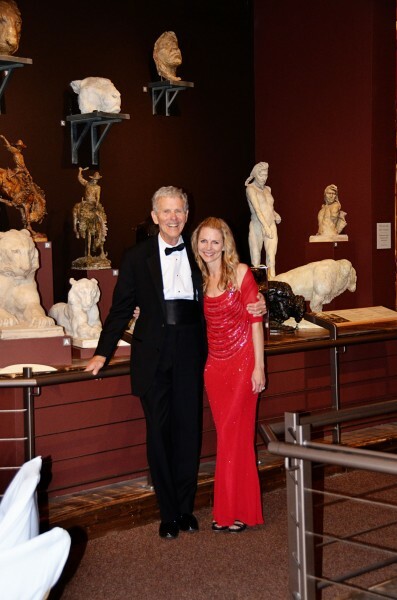 Phimister Proctor ‘Sandy’ Church, founder of the Proctor Foundation, with daughter and director of the foundation, Laura Proctor Ames.